Discussion in 'Off-Topic' started by AbsurdBuffalo, Jan 14, 2018.
kp.taco, 4wd, whippersnapper02 and 1 other person like this. 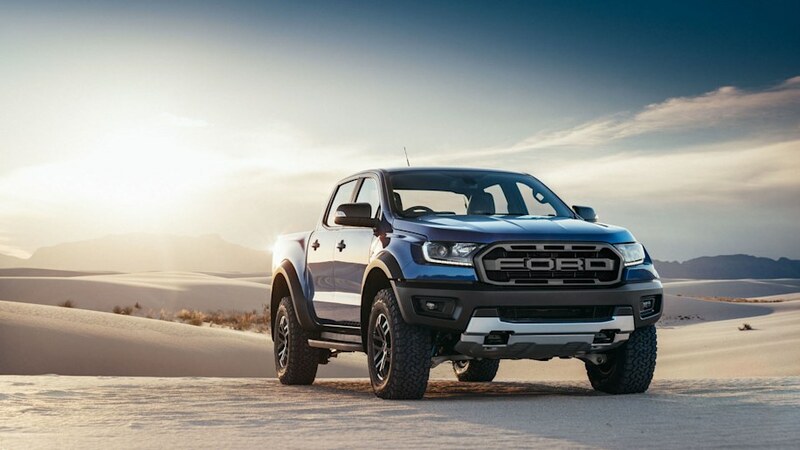 For the record I'm hoping Ford does a great job with the Ranger because it will push Toyota to keep up and improve. They have had it too easy for to long. 4wd, Bogunn and OR17TRD like this. Well put. They have had an easy run. I don’t like that it’s derzul. I just like that it’s derzul. You gonna get a derzul? It’ll happen. Every time Nancy sees a diesel the cries a little inside. Nah. I have a basic understanding of how money works. That is a good looking truck. The more I see the pictures the more I like them. But they don’t have a snorkel like the 2019 TRD Pro. “Trail Control” and a locking rear diff. They are gunning for Toyota hard with this one. I’m curious to see the comparisons with the TRD OR and TRD Pro when they release them for testing. Toyota is actually late to the game. Lexus had it before Toyota products but Range Rover had terrain control before anyone. Toyota is actually late to the game. Range Rover had terrain control before anyone. Yeah, but affordability is a huge issue when it comes to Range Rover. They’ve always been ahead of the game but they can also overdo it.... early 2000’s Rovers seemed to be plagued with issues. Oh I know. But remember, 2010 Tacoma and no USB ports. Toyota never has firsts with their trucks. I’m currently watching TFL and they are testing the 2018 Sequoia Sport. It still has the same engine and trans from 2007. Toyota definitely is never first to the game. They didn’t invent the truck in the 80’s and 90’s. They just made the best for a long time. I remember my dad’s 80’s Toyota pickups. They were beasts. I still think they make the best truck. Hopefully they will get their act together and improve even more though and get off the status quo and innovate a little. I didn’t realize they were using the same drive train that long. I don’t mind my 3.5 but honestly wish I had a 2nd gen drivetrain.